Games set in a fantasy world. The Hunting Pack must unite the tribes of Nagalisitu if they wish to bring them the benefits of civilization and education. It will take a mixture of diplomacy, intrigue, and violence to win them over. Slaying some of the mighty leech cats may impress one of the tribes, but that’s a big IF. The Hunting Pack has been charged with guiding a new civilization, but before they can help the people of Nagalisitu, they must survive the court of Daryl the Squinty-Eyed! The angry king has arrested several members of the Pack for dereliction of duty. In order to survive, they must win a court battle against an old nemesis. Can they survive a naked trial? 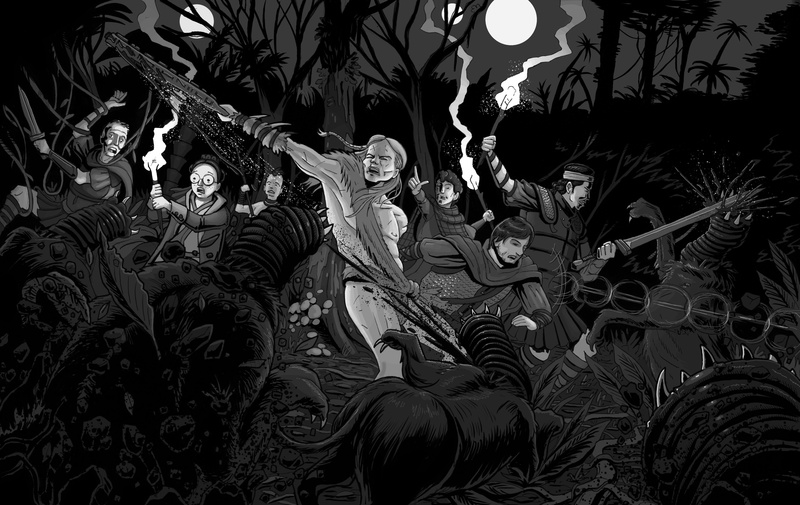 Mysterious slavers attack the camp of the Hunting Pack, a small mercenary company. 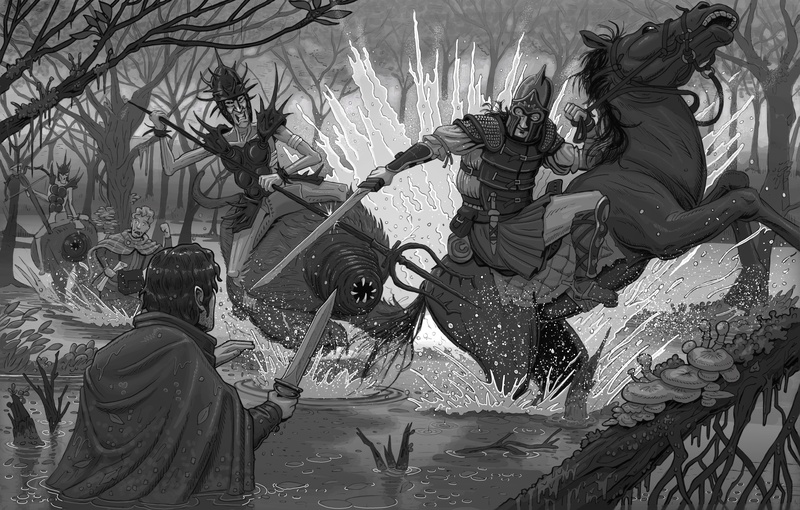 The leaders of the mercenaries chase after the slavers, trying to rescue their followers. 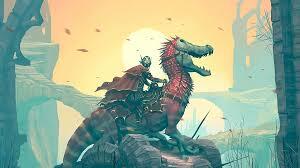 The slavers ride unnatural monsters and wield strange weapons, which none of the mercenaries recognize. When the mercenaries tracks down the slavers, they find a strange portal in a cave in the middle of a swamp. A hidden world awaits the Hunting Pack and the chance to change history forever. 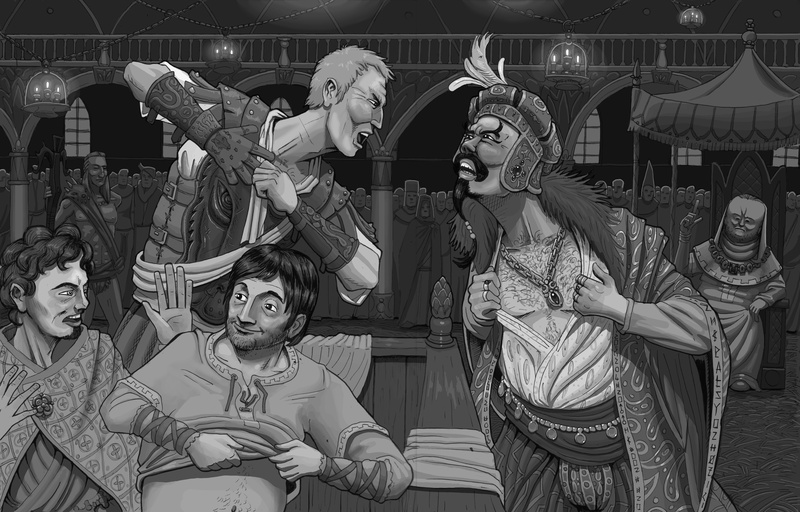 Check out the preview art for this campaign, which includes sketches of the player characters. After hundreds of years, the Blood Mist has mysteriously disappeared. All throughout the land, villages and settlements once isolated are now open to the rest of the world. A band of young adventurers has set out to explore the wilderness. 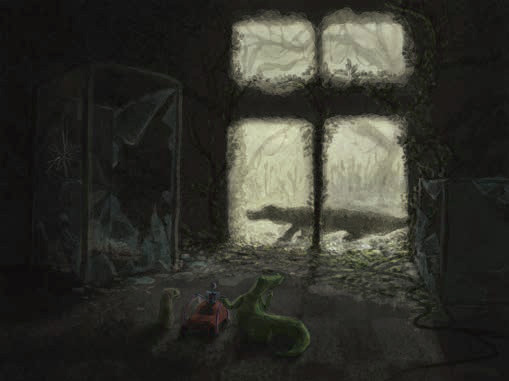 Will they survive what they encounter? Once upon a time, there were humans who built toys and a great many other things. The humans are now gone, but the toys remain, now magically animated by some mysterious force. A trio of three toys has set off to see the Clockmaker, who is said to be able to repair any defect in any toy. It will be a long journey but the toys will risk everything to see the Clockmaker!